In a world where development cycles are moving faster than ever before, OEMs are simultaneously pushing some of the biggest engineering initiatives automotive has ever seen. It's hard to find an automotive company not dipping their toes in electric and/or autonomous vehicles right now, making it less of a race and more of jam-packed bandwagon. This is a good thing, until the demand for innovation supersedes the testing necessary to provide a safe driving experience for the end consumer. Thermal management is a hot topic in the testing industry right now as we push towards producing electric vehicles. Expensive and advanced electric motors, inverters and batteries can be easily damaged in a matter of seconds if poorly designed or faulty thermal management components (coolant valves, oil pumps, water pumps, etc.) fail. This is why having the right testing solution is so important. The first question arises: whether or not to build internally, custom engineer or order a turn-key test system. Let’s start off by outlining some of the benefits to building internally. For starters, you must have first-hand knowledge of the desired functionality and what needs to be prioritized during the build process. This allows you to make quick and easy adjustments during the build process that align with the ever-changing company needs/direction. A benefit is that you are able to control the costs directly. You get to hand pick the components that make up your subsystems, measurement circuit, electrical cabinet, physical interface and more. Lastly, you will have a unique test system that is tailored to your engineering vision. That said, unique doesn’t always mean better. Having an in-house built machine means that when something goes wrong, you are alone. The support service for a ‘unique’ build consists only of those who built it. 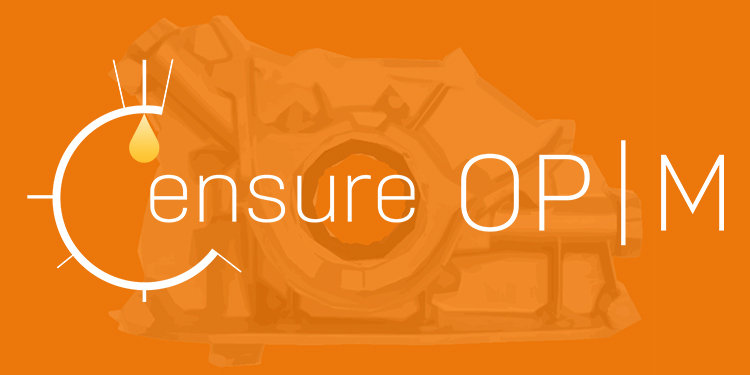 There are no guarantees aside from a few components carrying standard one year limited warranties. Safety hazards must be taken into consideration, as building internally cuts out the expertise of companies/industry experts that do this on the daily (and are held liable). You will not be receiving a manual warning you of the various risks that come along with the machine. Building internally means that you are leaving little room for outside innovations, from industry professionals that have made a career of understanding the best way to test components like yours. Also, with an industry moving as fast as ours, there’s little time to waste. Tier 1 suppliers are trying to keep up with client deadlines and OEMs are trying to stay ahead of the curve. Building internally can be the slowest option with the highest risk, as companies are often unable to allocate the appropriate amount of resources necessary to be successful with a project this complex. This leads to my final point here, which is that designing and building a test system takes extremely intelligent minds. This means taking powerful resources from your team away, when they could be focusing on improving your company's products and chances to win business. Let's talk about the pros of outsourcing the custom build process. For starters, although your input is still required, you are not usually tying up your internal resources for extended periods. Additionally, you are getting the machine built to your liking with a guarantee from a third-party to deliver it. Lastly, you may gain the professional input from your supplier, but this can often be left out as they are attempting to build as close to your specs as possible. Outsourcing to custom engineering firms is not without flaws, however. Despite keeping your resources available (relative to an internal build), you still need to be constantly managing the project and delivering input to ensure the design is executed exactly as planned. 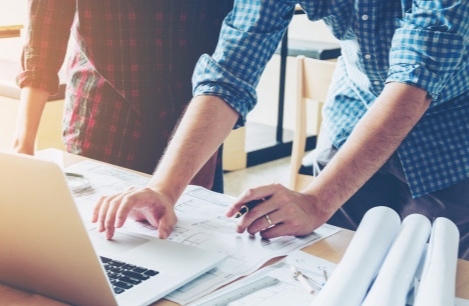 Ironically, you may have less insight over the project and if communication is spotty, this can lead to major design flaws that may be irreversible. Furthermore, this option is usually the least cost-effective (as expected for anything custom-engineered). Worse still, you could end up leaving very little room for innovation and could potentially be spending hundreds of thousands (if not millions) of dollars on a machine that will be obsolete in a few years because its pace isn’t up to par with industry standards. Two of the many reasons to consider the productized or modular test approach are consistency and quality. This refers not only to the product itself, but also to the services that surround it. A test system that has been pre-designed and continually refined to cater to the growing demands of the industry often presents a superior value proposition. This approach tends to be the quickest of the three options, as your are simply selecting from the variants/spec options available and then allowing experienced teams to build the product they know inside out. The productized approach traditionally carries a warranty that covers the machine as a whole, meaning you are safe after the product ships and well into your team’s testing. Ultimately, productized or modular test systems allow you to go-to-market with a proven product in a fraction of the time required with custom engineered test solutions. This approach requires less oversight than a traditional project. Although this tends to be more affordable than a fully custom engineered machine, you are still paying the price of the research and development that went into the product, making this more costly than the in-house build. Lastly, with this option, you are essentially picking a system in the product lineup that best suits your requirements, leaving less room for customization and/or unique component specifications. The only question now is, which method is best for your company. The way we look at it, there isn’t necessarily a right and wrong method. For example, building internally may yield the lowest cost, but only when the build process goes exactly to plan, requiring significantly talented internal resources. Otherwise, you may take on unnecessary risk and consume resources, restraining your team’s ability to win new business. Outsourcing the custom building process allows you to build a machine exactly to spec, albeit at a considerable cost. If the specification is forward-thinking and comprehensive, this may yield the best long-term result and assimilate well with your other equipment. Seeing as how automotive is going through a period of disruptive innovation, the likelihood of your company being stuck with an outdated piece of capital equipment is more likely. Finally, we looked at the modular or productized test approach. System platforms like ATA’s Ensure™ provide you with well-defined solutions for the future, allowing you to focus on winning business rather than writing a testing specification. The added support will become an extension of your team, completely freeing up your resources, while still having the ability to pick up a phone or drop in to get a status update. Finally, a warranty and performance guarantee make this the option of the least risk. Select one of the blocks below to learn more on how ATA Ensure™ can help your team win business, free up resources and support your team’s initiatives.